The Archangel St. Raphael Holy Healing Ministry is a charitable apostolate dedicated to serving Jesus Christ through spreading His message of Love, forgiveness and healing to all people. It is important to acknowledge that all of this comes from the blessings and graces of our dear Lord, Savior and Creator, Jesus Christ. It is through the graces poured out on all of us by Jesus and Mary through the powerful intercession of the Archangel St. Raphael that we are able to offer our services to all people. Thank you to all our holy priests who use the St. Raphael oil, and have supported and assisted this ministry. The St. Raphael Ministry prays for all priests, but especially those who have ministered with us as well as all our future priests. Rev. Joseph Whalen, M.S. was born in Quincy, Massachusetts and received his call to the priesthood late in life. He entered Pope John XXlll Seminary, a seminary for delayed vocations, and completed four years of advanced graduate studies. On September 9, 1989, at the age of 66, he was ordained a Roman Catholic priest by Bishop Alfred Hughes and became a LaSalette Missionary priest. He retired in 2014 at the age of 91. His dramatic life story was a story of “How God writes straight with crooked lines!” His ministries were many and he was a champion of the sick, the elderly, drug addicts, alcoholics, families, and those in need. He gave us a tremendous story of Almighty God’s love, grace and mercy in the circumstances of his own life; he was also the founder of the renowned international Archangel St. Raphael Holy Healing Ministry. Father’s message was to realize that It’s Never Too Late to Live. Fr. Whalen conducted healing services for many years and spent his entire priesthood witnessing Christ’s healing presence and helping countless people to find hope in the midst of life’s many challenges. Fr. Joe Whalen has gone to his eternal rest. His legacy and love for this Ministry that he founded will continue. We now have a powerful intercessor in heaven! Rev. John E. Welch, M.S. was born in Clinton, Massachusets. 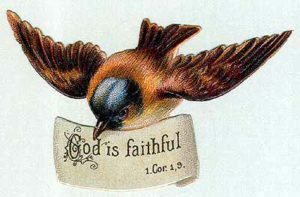 He received his call early in life and went directly to the minor Seminary in Hartford, Connecticut. After completing his years of education and training he was ordained to the priesthood on May 28, 1960 at the National Shrine of Our Lady of LaSalette in Ipswich, MA. He celebrated his 50th Jubilee in May of 2010. After a brief time as parochial vicar at Our Lady of Sorrows in Hartford, CT, he returned to Our Lady of LaSalette Shrine in Ipswich, MA. 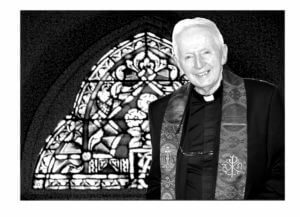 He was appointed editor of Our Lady’s Missionary Magazine and became director of the Shrine until 1979 when he was appointed pastor of St. Mary’s in Jewitt City. He has been assigned to St. James in Danielson, CT for 15 years, where he is noted for his inspiring missions and gift of preaching. He was also part of the Archangel St. Raphael Holy Healing Ministry team and traveled extensively with Fr. Joseph Whalen.His homilies have captivated countless numbers of Catholics. The charism of the LaSalette is Reconciliation … of compassion and mercy to the repentant. He is also noted for hearing confessions hour upon hour. He has a special gift for showing God’s love for each person. Rev. Aniello Salicone, S.X. of the Xaverian Missionaries was born in Italy in 1940. In 1952 he entered a Minor Seminary. In 1961 he left the Pontifical Seminary of Salerno (Italy) to join the Xaverian Missionaries in Parma. 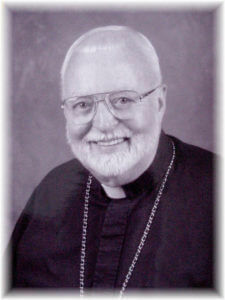 He was ordained a priest in 1966. After 8 years of ministry in Italy, he left for London to learn English. The year after, he went to Sierra Leone, West Africa to teach and minister in the diocese of Makeni. In 1980, Fr. 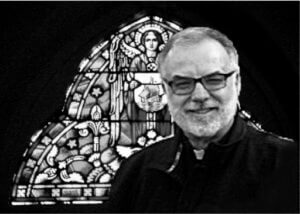 Aniello went to Chicago for post graduate studies at the Catholic Theological Union (CTU), where he earned his Master of Art in Theology. He went back to West Africa, and was sent to Liberia at St. Paul Major Seminary. Fr. 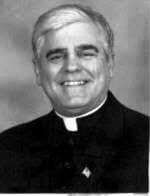 Aniello taught Pastoral Theology and ran the seminary for seven years. He went to the Xaverian House in Holliston, Massachusets in 1994. He began his healing ministry in 1995 and went to Chicago in 2001 to help Fr. Michael Davitti, a Xaverian Missionary who runs the St. Therese Chinese Catholic Mission. He has served in Italy, London, West Africa and many states throughout the United States. Fr. Salicone has been blessed with many gifts from God and is currently the assistant to the Rector at the Xaverian house in Franklin, Wisconsin. Rev. Paul Desmarais was born in Providence Rhode Island and educated at Christ the King School in West Warwick and Our Lady of Providence Seminary High School and College in Warwick Neck. He completed his seminary studies at St. Mary’s Seminary in Baltimore, Maryland and was ordained to the priesthood on May 26th, 1979 by Bishop Kenneth A. Angell at St. Matthew’s Church in Central Falls. Fr. Paul served as assistant pastor of Sacred Heart Church in Pawtucket; as part-time spiritual director for the Blackstone Valley CYO and East Bay CYO; as Director of Spiritual Formation and Formation Team Member, Seminary of Our Lady of Providence; as summer chaplain for the Boy Scouts (Camp Yawgoo) and as chaplain for the Youth Ministry Team in Pawtucket. Fr. 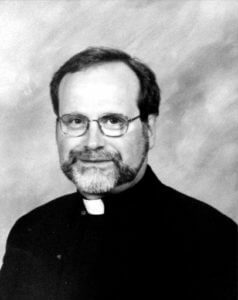 Desmarais was named pastor of Sacred Heart Parish in Pawtucket in 1997 and served there until being named pastor at St. Mary’s Parish in Carolina and St. James Chapel Charlestown in 2005. He is very dedicated to service and has a fearless faith. Being an accomplished artist, Fr. Paul believes in giving back his God given talent by helping others through volunteering. He is the Director of Deliverance Ministry for the Diocese of Providence RI. · Involved with Worldwide marriage Encounter – Has served as presenting priest, Team Training Presenter, Executive Leadership for Worcester; MA/NH/RI/ Section 1 Leadership, Three terms as Section 20 Leadership. He is a great scholar and a very holy and humble priest. A native Washingtonian, attended Mount Calvary parish and school in Forestville Maryland, graduated from Bowie State College with a B.S. in Elementary Education, with a special education minor, received a Masters in Divinity from Mt. St. Mary’s Seminary, Emmitsburg MD. Monsignor Chimiak has been ordained 34 years and has been pastor at: St. Michael’s in Ridge Maryland, Holy Ghost in Issue Maryland, Sacred Heart in La Plata Maryland, St. George in Valley Lee Maryland and presently assigned at St. Joseph church in Beltsville Maryland February 2014. 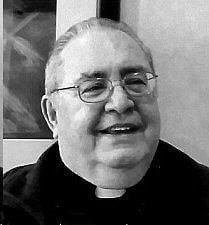 In 2005 Father Chimiak was elevated by (Saint) Pope J John Paul II, Monsignor, Chaplain to the Holy Father. Monsignor is a retired Chaplain Colonel, United States Air Force serving 26 years including being mobilized during Operation Desert Storm in 1991. He has been a Police Chaplain for the Maryland State Police (19 years), Maryland State Transportation Authority Police (10 years Charles county Sheriff Office, St. Mary’s Sheriff office, La Plata Police Departments. He will be very shortly named as Catholic chaplain the to the Prince Georges Police department, District 6, Beltsville. Monsignor is also a fourth Degree Knight of Columbus and serves as an Assoc. State Chaplain, special Liaison to the Cardinal’s office, District Friar, Archdiocese of Washington and member of the Prince George’s council in Beltsville. Msgr. Karl himself, was healed of a detached retina through the intercession of St. Raphael and the St. Raphael oil. He has seen many miracles through the St. Raphael oil and uses the oil in his parish ministry. Rev. Ron Barker is a Boston native. He attended archdiocesan seminaries and was ordained to the priesthood at the Cathedral of the Holy Cross by Humberto Cardinal Medeiros on May 17, 1975. Immediately following ordination he was named associate pastor at St. Peter Parish in Gloucester. His appointment to Wakefield, also as an associate followed in 1981. In 1992 he was appointed a parochial vicar at Immaculate Conception in Revere and in 1998, as parochial vicar at St. Patrick Parish, Stoneham, MA. He is currently pastor of St. Joseph Parish 173 Albion St. Wakefield, MA 01880 tel. 781-245-5770. 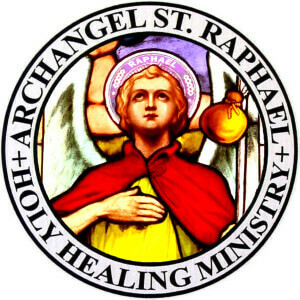 The St. Raphael healing oil is made available for all parishioners at the parish rectory; it is also available at Fr. Ron’s Healing Mass and service the first Wednesday of every month beginning at 7:00 PM. Fr. Barker is a calm, quiet man, even tempered and very prayerful. 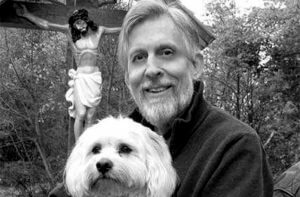 He is pictured with his loyal companion “Caleb” the parish dog. In all ages, priests have been held in the highest honor; yet the priests of the New Testament far exceed all others. For the power of consecrating and offering the Body and Blood of our Lord and of forgiving sins, which has been conferred on them, not only has nothing equal or like to it on earth, but even surpasses human reason and understanding. They are the life line between God and man.